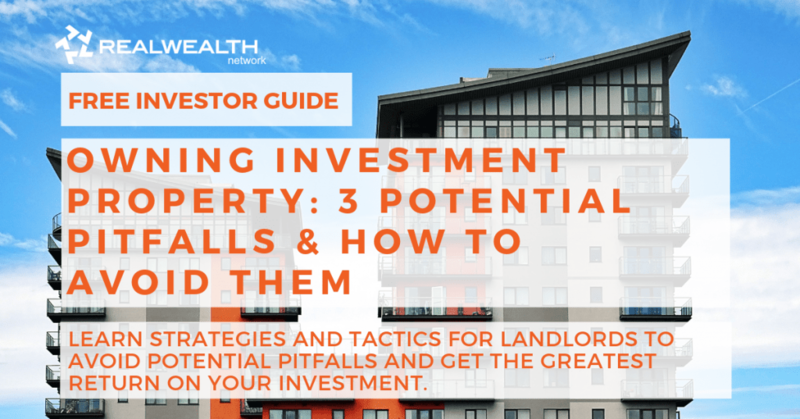 Summary: In this article, we’ll discuss owning investment property and 3 potential pitfalls that landlords may encounter, along with strategies and tactics to avoid these pitfalls and ensure the greatest return on your investment. If you’re a new property owner or an experienced one, there are always ways to avoid potential issues that may arise. Having trouble filling your rental, dealing with bad tenants or spending way more than expected on maintenance expenses? We’re here to make your landlord experience go as smoothly as possible. Investing, whether it be in the stock market or real estate, involves some amount a risk. Rental property risks are no exception. Your property could sit empty for months between renters, lowering overall return. A careless tenant could cause damage to the rental, causing excess repair costs. Or even legal expenses in the case you need to evict a bad tenant. Whatever the scenario may be, there are several ways to avoid potential issues and minimize risk of owning investment property. One of the biggest issues landlords face is keeping their rental property occupied. According to the United States Census Bureau, rental property vacancy rates have been below 10% since 2010, and just 6.8% in 2018. These consistently low rental vacancy rates are due to the nationwide housing shortage. Vacancy rates vary a little bit, based on where your rental property is located. If your rental is in the west, vacancy rates are just 5.1%, whereas in the south, rates are 8.7%. Although vacancy rates remain low, landlords can often have trouble filling a rental property and find themselves losing money every month on their investment. While you may not have a hard time finding tenants to fill your rental property, keeping them long-term is the next challenge. Landlords often find themselves having to spend a lot more time and money than anticipated looking for new tenants. If your rental is consistently experiencing high turnover, chances are you are losing money every month. There could be several factors that impact high turnover, for instance, the responsiveness of a landlord. Let’s say a tenant reaches out about a broken toilet and the landlord doesn’t get around to fixing it for a month or so. They likely aren’t going to continue to rent from you long-term, no matter how nice the property may be. It’s important for landlords to know the historical vacancy rates in the area a rental is located. This will help predict how many days or months a year your rental will likely be empty, and whether or not you can afford those times of vacancy. If your rental is vacant 6.8% (national average) of the year, you should expect vacancy for at least 18 days, which would result in having to pay for rent and utilities on the property at least one month a year. Run the numbers to make sure you can afford the possibility of covering rent for several months, especially if vacancy rates are higher in your area. If you can’t afford the risk of an unoccupied property for at least 3 months a year, reconsider investing in the property, or wait until you are more financially stable. All property owners want to make as much money on rent each month as possible. Afterall, isn’t that why we go into real estate investing? So it’s not uncommon for new landlords to list their property too high. Do some research on real estate market trends and average rental rates in the area. Doing so will give you an idea of how much rent you should be charging based on the size, number of bedrooms and bathrooms, etc., of your property. If you are having a hard time finding tenants, consider lowering your rent. Even if you’re only breaking even on your rental right now, at least you aren’t paying two mortgages. The best way to find tenants for rental property is to start by finding the right ones. If necessary, take the extra time to figure out how to find long-term, quality tenants. This will lower the risk of vacancy and ensure you’ll receive steady monthly income on your investment. When marketing your rental, seek tenants who are willing to sign at least a year long lease. While it may take a little longer to find long-term tenants, as opposed to month-to-month, it will pay off in the end. Landlords won’t have to worry about their property being vacant for at least the next year. Offering a month-to-month lease increases the risk for vacancy. A short-term lease option not only increases your risk of vacancy, but getting your rental ready for the next tenant will cost even more money. If a landlord is having to hire a cleaning service and/or handyman several times a year, all that extra cost is taking money out of your pocket and cutting into your monthly cash flow. We’ll talk more below about how to strategize your lease agreement. If you own one or two rental properties while working a full-time job, your first priority probably isn’t managing and maintaining your investment properties. Whether you are having difficulty finding tenants or don’t have enough time to take care of regular maintenance, consider hiring a property manager. Even though property managers come at a price, they will take care of daily management and maintenance requests, as well as finding potential tenants more quickly with access to different marketing outlets and renter platforms. A different route to offset short or long-term vacancy issues is to make your property a vacation rental. If you know your property is going to be vacant for a period of time, consider listing your rental on vacation sites like Airbnb or VRBO to make up for any money lost between renters. However, if you choose to go this route, vacation rentals require the property to be furnished and cleaned between guests, just like a hotel. If your property is located in a highly visited area, like a downtown or near the beach, you may have enough demand to make your rental solely a vacation home. Otherwise, it’s unlikely you’ll have a guest every night of the week. Evaluate your own unique situation and decide if a vacation rental or long-term lease is the best option for you. Planning ahead and strategizing your lease agreement will reduce the likelihood of your rental being vacant for long periods of time. You can do this by setting a lease to expire during the months where there is the highest demand. July and August are the busiest times for renters looking for a new place to live (as opposed to during the school year). If a tenant chooses not to renew, at least the risk of vacancy is lower because you’ve deliberately planned your lease expiration date. Once you get on the right yearly pattern with your lease agreement, vacancy will likely be reduced for years to come. Part of choosing to rent out an investment property is being okay with the idea of ordinary wear and tear on the rental. We all know that things break or wear out with daily use and the cost of fixing is just part of owning a rental property. However, what if a unhappy tenant is causing purposeful damage prior to leaving? Landlords must be prepared to protect themselves and their assets in the event of extensive damage. If you encounter a situation where tenants consistently pay rent late, or worse, not pay at all, you may find yourself in a position where you’re losing cash flow. A number of reasons can cause tenants to not pay their rent. It could be temporary unemployment, a shortage of cash flow or repair and maintenance disagreements. Whatever the situation may be, the last thing you want is to be worried about whether or not tenants will pay rent in any given month. A common occurrence when owning a rental property is tenants disrupting neighbors, especially in multi-unit properties or apartment buildings. These issues are likely to happen sooner or later and can cause a great deal of stress for landlords having to mediate a hostile situation. If you discover that a tenant is violating the terms or their lease, it’s your responsibility as a landlord to notify the tenant in writing. Let them know about the rule violation and set a firm date of when it must be corrected. If your tenant fails to comply by the set date, it may be grounds for eviction. An experienced landlord knows the importance of insurance policies. Traditional homeowners insurance policies oftentimes do not cover damage to rentals. Safeguard your investment by getting a policy that is specific to landlords and rental properties. Liability coverage is included in pretty much all landlord policies and will protect you against any major damage or lawsuits, in the case your tenant takes legal action against you. If a tenant causes a flood, fire or any major damage, landlord-specific insurance policies offer protection to your property. Additionally, requiring tenants to have renters insurance will further protect you and your assets. Finding good tenants is probably the single most important and money-saving tactic for landlords. So spending extra time and even money to find quality tenants will pay off exponentially in the long run. Establish a thorough tenant screening process. Perform an extensive background check including, employment verification, rental history, and credit checks. Interview applicants upon showing your rental and request they bring the completed rental application with them. Ask questions like, why they’re leaving current residence and what they’re looking for in a new place, etc. Contact applicant’s previous landlords and current supervisor at work to get an idea how honest, reliable and cooperative they are. Gather as much information as possible about the potential tenant and decide if they’ll likely be a quality tenant or a nightmare. The best way to minimize rental property risks and avoid tenant issues is to have a rock-solid lease agreement. Procuring a lease agreement that covers every potential issue is critical. Clearly outline tenant rules and consequences for violating these rules. But don’t stop there; landlords must be firm in sticking to the terms of the lease agreement, even if it costs tenants money. With that in mind, there are always options to consider before evicting a tenant failing to meet the terms of their lease. If a tenant cannot or will not pay rent (on time or at all), landlords have several options, other than eviction. Communicating honestly and openly with your tenant and understanding their situation, can help in negotiating and resolving the issue, without eviction. Given the tenant is having cash flow issues and is struggling to pay bills, structuring payments is an effective method to ensure you’re still collecting rent. Accepting a partial payment or prorating late fees over the course of a year or lease life, can help ease the burden for tenants and still put money in your wallet, even if it’s late. Consider offering flexible payment options, ideally for tenants with short-term financial problems, who pay rent when they have the money, instead of abiding by the terms of the lease. If a tenant has had a change in job or financial situation, landlords have the option to change the living arrangement. Adding a roommate to the rental or moving a tenant to a lower-cost unit may resolve the no/late rent issue. 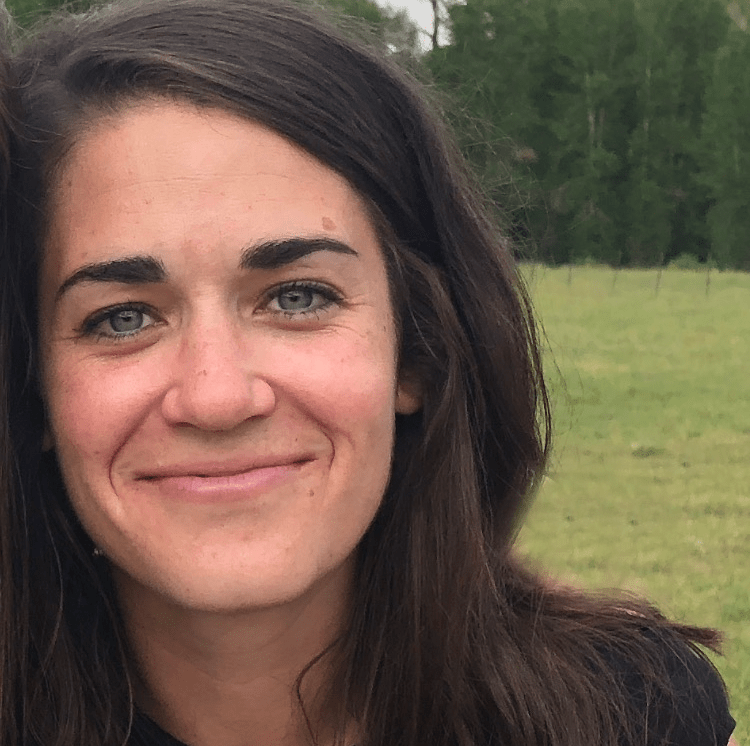 Chances are, if you’re willing to help tenants with flexible payment options, instead of jumping straight to eviction, can earn landlords loyal tenants for life. The right not to be discriminated against (based on race, gender, religion, ethnicity or disability or sexual orientation). The right to a habitable home (reasonably fit to be lived in). Rental must be clear of unsafe conditions such as bad wiring, holes in the floor, pest infestation, etc. Security Deposit limits & deadlines. A security deposit is usually the amount of one month’s rent, with certain states not allowing landlords to charge more than that. A security deposit is meant to cover any costs to repair damage caused by the tenant. It does not apply to last month’s rent. The right to privacy. You may own the rental property, but that doesn’t mean landlords are free to enter the residence without giving prior notice. Rental property maintenance expenses can be one of the most difficult expenses to budget for because it’s so variable. One month a rental could cost a landlord $200 in maintenance, and the next month $0. Start by putting an estimated budget together based on expected costs, like routine and seasonal maintenance. Then consider unexpected or emergency maintenance costs. Finally, evaluate the overall condition of your investment property and the life expectancy of all the things that keep your rental in habitable condition. The following list of maintenance items will help landlords come up with an estimated budget. Budgeting for routine maintenance is generally easier because it’s a more fixed expense. Routine maintenance may include garbage and recycling collection costs, exterior and interior wear and tear repair or cleaning. Depending on where your rental is located and the type of property, landlords must account for seasonal maintenance. Seasonal maintenance may include snow removal, gutter cleaning, lawn mowing, tree pruning, etc. A good way for landlords to keep tenants happy (and long-term), is to make sure all appliances are in working condition. Because we don’t know how or if a tenant is taking care of appliances, it’s worth investing in regular service checks on any major appliances. Routine checks will extend the life of your more pricey appliances, like refrigerators, stoves, washer/dryer, HVAC’s, etc. It also helps landlords prepare for future appliance replacement costs. Landscaping may fall under routine or seasonal maintenance. Per the terms of the lease agreement, the landlord or tenant are responsible for maintaining the exterior of the property. If it’s the tenants responsibility and they fail to meet the standards of homeowners association rules or local laws, it falls on the landlord. Landscaping costs is often considered a fixed expense, making it easier for landlords to be ready for. Landlords should budget for preventative measures like pest control and property inspections. Spraying for pests around the perimeter of your property or in the event of a pest invasion. As well as home inspections in case of mold or other health hazards. Rentals experience a lot of wear and tear, especially when it comes to paint and floors. Carpet takes the most damage and should be professionally cleaned at least once a year. A fresh coat of paint can go a long way, especially between each tenant. One of the biggest out-of-pocket expenses for landlords is cleaning costs in between renters. While a lease agreement may require the tenant to thoroughly clean the rental prior to moving out, it’s almost never clean enough for a new tenant to move in. A tenant’s security deposit may be used to pay for all or part of a professional cleaning service. However, your rental property expenses list may end up being almost as long as this article. Landlords often pay out-of-pocket to cover all the expenses associated with a change in tenants. Thus, the importance of finding quality, long-term tenants. Ideally, if you’re doing routine maintenance checks, it’s less likely for landlords to experience emergency maintenance. Regardless, landlords must account for unexpected costs like a broken furnace or A/C, a pipe burst, or sewer line issues. Emergency maintenance typically needs to be handled as soon as possible per tenant rights. While property owners are responsible for most maintenance, tenants still have expectations to adhere to. Tenants should be keeping the rental clean, disposing of trash properly and avoid any damage to the property, if possible. Almost all maintenance and repair expenses are tax deductible for landlords. Find more information and rental property advice about all the landlord tax deductions property owners should be taking advantage of. Although there are always pros and cons of owning a rental property, we believe there are many ways to avoid potential issues. Set yourself up for success as a landlord and property owner by preparing for possible headaches and expenses ahead of time. By doing so, owning investment property will be a great experience for both you and your tenants.